In Davos Switzerland, a prominent ski resort, the world’s business elite are meeting to discuss what to expect over the next 10 years. This year, the annual World Economic Forum meeting runs from January 23 to 27 and business leaders are joined by prominent politicians and central bankers. 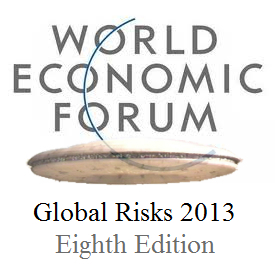 For 2013, an 80-page analysis of 50 risks for the next 10 years was distributed to attendees. The Global Risks 2013 report is lengthy list of prognostications of what world leaders need to plan for to avoid “systemic shocks and catastrophic events”. 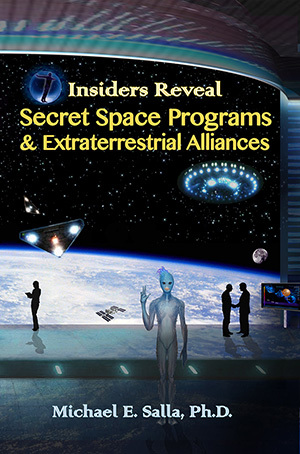 Among the list are five X factors that according to the report, “no country alone can prevent.” One of the X factors is the discovery of extraterrestrial life. Global risks are expressed at the national level. No country alone can prevent their occurrence. What would be the national and global impact of such a discovery according to the Global Risks 2013 report? The discovery would certainly be one of the biggest news stories of the year and interest would be intense. But it would not change the world immediately…. Over the long term, the psychological and philosophical implications of the discovery could be profound. If life forms (even fossilized life forms) are found in our solar system, for example, the origin of life is “easy” – that any place in the universe life can emerge, it will emerge. It will suggest that life is as natural and as ubiquitous a part of the universe as the stars and galaxies. The discovery of even simple life would fuel speculation about the existence of other intelligent beings and challenge many assumptions that underpin human philosophy and religion. Evidences of its [extraterrestrial] existence might also be found in artifacts left on the moon or other planets. The consequences for attitudes and values are unpredictable, but would vary profoundly in different cultures and between groups within complex societies; a crucial factor would be the nature of the communication between us and the other beings…. Anthropological files contain many examples of societies, sure of their place in the universe, which have disintegrated when they had to associate with previously unfamiliar societies espousing different ideas and different life ways; others that survived such an experience usually did so by paying the price of changes in values and attitudes and behavior. 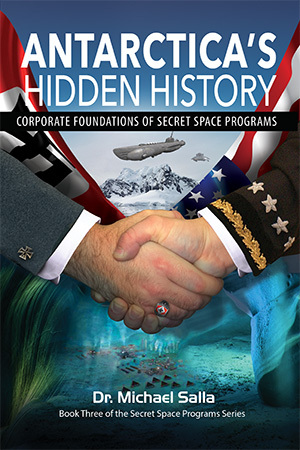 Is social disintegration what the Davos Global Risks 2013 report has in mind if extraterrestrial life is discovered? The simple answer is no, if leaders develop the necessary “national and organizational resilience” to such a discovery, and implement “basic education and awareness campaigns”. The Global Risks 2013 report shows how far humanity has come over the last 50 years since the Brookings Report was written. World Economic Forum organizers are far more optimistic and believe that humanity can be sufficiently prepared for a “paradigm shift concerning humankind’s position in the universe.” World leaders currently meeting at the Davos World Economic Forum are themselves being prepared for the possible discovery of extraterrestrial life within the next 10 years. Mars – is Curiosity a step forward or backward in finding an answer?